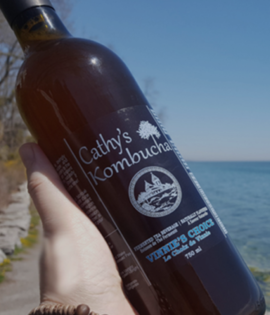 Cathy’s Kombucha is lovingly handcrafted using the same SCOBY culture, recipe and method used in a Monestary in the Quebec region. Their Premium Artisan brands are fermented in small glass jars for the cleanest, most refreshing, naturally effervescent taste they are known for. Cathy’s Kombucha, the product of a carefully controlled fermentation process, is free of gluten, soy, and sulphite.